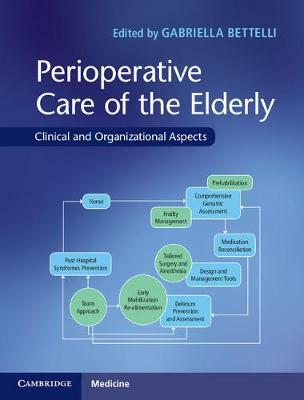 This innovative, comprehensive book covers the key elements of perioperative management of older patients. The book's chapter structure coincides with the clinical path patients tread during their treatment, from preoperative evaluation to post-hospital care. Epidemiological aspects and aging processes are illustrated, providing keys to understanding the quick expansion of geriatric surgery and defining the clinical profile of older surgical patients in a cybernetic perspective. Preoperative evaluation and preparation for surgery, including medication reconciliation and pre-habilitation, are developed in the light of supporting decision-making about surgery in an evidence-based and patient-focused way. Intra- and postoperative management are discussed, aiming to tailor anesthetic, surgical and nursing approaches to specific patients' needs, in order to prevent both general and age-related complications. This volume also addresses issues relevant to geriatric surgery, from different organizational models to clinical risk management and systems engineering applied to hospital organization.